Coaching little league baseball is a lot like being the President of the United States of America. You are the king; the leader. Anything you say is law, and you must rule with an iron fist. Winning is everything, and it’s your job to make it happen – at all costs! While being a coach does take excellent vision and leadership skills, it’s nothing like being the commander in chief of a country, and it certainly doesn’t mean ruling with an iron fist. And while winning is nice, it certainly isn’t everything. We want them to be healthy, get exercise, and make new friends. We want them to learn how to work hard and practice, and we want them to learn how to be good winners and great losers. Most importantly, we want our children to learn about sportsmanship. We want to instill in them values that they’ll carry with them into adulthood: how to work together with with teammates to accomplish a a common goal, understand that losing is an integral part of winning, and learning how to persevere and see things through. 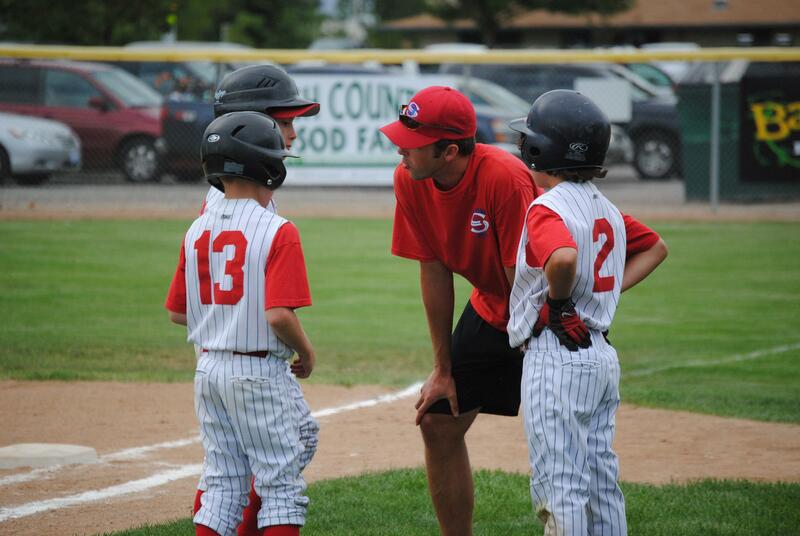 The second you remember why you wanted your child to get involved with little league sports, you’ll understand what it takes to be a great coach. Whether this is your first time in the dugout or you’re a seasoned pro, here are some useful tips every coach needs to know. The safety of your players should be at the forefront of every single thing you do – which is why it’s the first tip on our list. Whether you’re scheduling practices at appropriate times (avoid the hottest hours of the day and schedule practices either in the early morning or in the early evening), or making sure players stretch and warm up properly before every game and practice, safety is your number one priority. As our friends from Little League recommend, make sure that all equipment is inspected by an official prior to every game, and for minor injuries, always remember: RICE – Rest, Ice, Compression, and Elevation. The most difficult thing about coaching is learning that every single member of your team is important, unique, and learns differently. I know that sounds self-evident, but you’d be surprised how easy it is to forget this. As a coach, it’s your job to know your players; their strengths and their weaknesses. A good coach knows how to use every player to their maximum potential, and can work with players to improve in areas that need work. The most challenging thing about coaching a little league team is that every team has its stand-out players and its weaker links. As a coach, you can’t play favorites. That means no extra batting practice for your starters, no extra praise for one particular player, and certainly no special gifts or any kind. All your players are equals on the playing field, no matter their skills or experience. No matter how fun the sport is, coaching isn’t always fun – or easy. In fact, it takes a heck of a lot of time and dedication to do right. Keep a line of communication open with your players and their parents, and always make sure you’re available to them. More so, as brilliantly suggested by our friends at YouGoProBaseball.com, put together a file for every player. In it, include their contact information, medical information, a copy of their birth certificate, and any other necessary league information. Make sure this documentation is available, and that this knowledge is shared with their parents. Celebrating and enjoying the thrills of victory is the easy part. As coach, it’s your job to teach your kids that they must win with grace and polish. And conversely, help them through the pain and anguish of defeat. Don’t get us wrong – every team hopes for a perfect season, but losing is as much a part of the experience as winning. A good coach will help his kids through a defeat and explain that they played as best as they could, and that they’re going to train and come back stronger next time. We know, we know – another no-brainer. But again, you’d be surprised how easy it is to forget this basic rule. You volunteered to be coach because you wanted to have a great time with a great group of kids. Call it cliché, but winning isn’t everything! Work hard, have fun, and win, lose, or draw, make sure your players (and you) never lose sight of what’s important – fun! You should always have a copy of your league’s rulebook on hand, just incase any issues should arise. Rules vary from league to league and district to district, but here are a few of the most common rules every coach should know before stepping foot on the field. 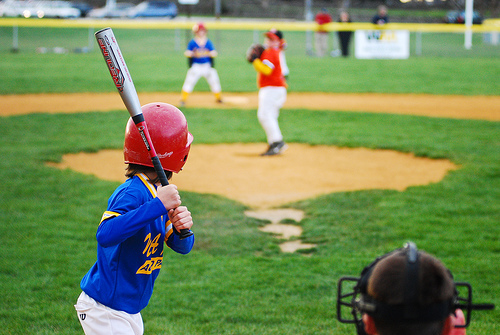 While major league baseball games are based around nine innings per game, youth baseball generally only plays six. An inning is completed when each team has gone to bat and gets three outs. Getting three strikes at bat. Hitting a ball that is caught by a player of the fielding team before it hits the ground. Any member of the fielding team tags the hitter with the ball before they get to first base, second base, third base, or home. Base-runners can get “out” if they are tagged while off base, or the base-runner is forced out by another runner. A “force out” occurs when a batter or base-runner is running to a base occupied by another teammate. That teammate is forced to run to the next base. If the opposing team tags the base before the base-runner, that runner is out. So, for instance, a batter hits a fair ball and runs to first. Because two players cannot occupy the same base, the base runner on first base is forced to run to second base. An opposing outfield player see’s this, and throws the ball to the second baseman, before the runner gets to the base. That runner is forced out. First, a player swings at a ball – regardless of whether or not it is in the strike zone – and misses. Second, a player doesn’t swing at a ball, but the ball is within the strike zone. The strike zone is one of the most subjective rules of baseball. Although every umpire and league have different standards, the strike zone is generally considered a space as wide as home plate, and begins at a batter’s knees and ends at their armpits. The issue is that because every batter is a different height, each strike zone differs. Ultimately, the umpire determines each batter’s individual strike zone. A player is allowed to run bases only after they’ve done one of two things: hit a fair ball, or received a “walk” from the umpire. Walks are given only when the player at bat gets four “balls,” or if the batter is hit by a pitcher’s ball. Bases are run at the batter’s discretion. If a batter runs only to first base, it’s a single; to second base, a double; to third base, a triple; and if they make it all the way around the bases and back to home, it’s called a homerun. Base-runners who try to advance to the next base following a pop-fly ball are required to return to the base from which they were trying to advance if said ball is caught before it hits the ground. If the ball is thrown back to the base before the base-runner gets back to it, that base-runner is out. However, if a base-runner waits until after a pop-fly ball is caught to advance to another base, it is fair play. 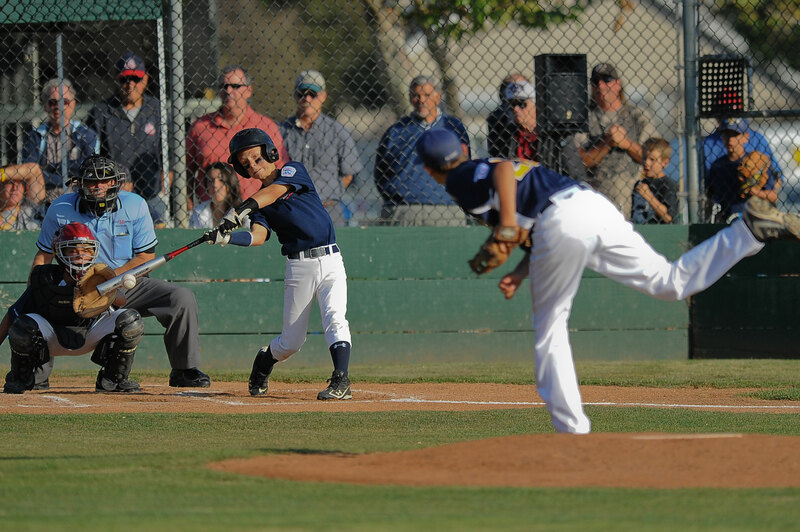 Stealing bases is not typically allowed in little league play. Check your district’s rulebook for clarification. Most runs scored if a third out is made during a play do not count. However, in the instance a third out is obtained as a result of a tag-out, all runs scored before said tag-out will count. If a fair ball is hit and the batter is only going to first base, they are allowed to “overrun” the base and still be considered safe, even if they are not on the base. However, if they round the base in an attempt to get to second, they may be tagged out. With baseball, as with most things in life, practice makes perfect. Drills are a critical component to any team’s successful season, and every good coach should know how to intertwine hard work and fun into the perfect practice schedule. Here are some of the most fun and well-known drills in the game, and even one or two that aren’t. We scooped this one up from our friends at Active because it sounds incredibly fun and challenging. Take three different-colored hula-hoops and position them at the three common bunting zones in front of home plate (on the third base line, the first base line, and directly in front of home plate). Then, pitch to your players and call out a color. Your players must bunt the ball through the corresponding hoop. This is a great way to build accuracy with your players, as well as ability to follow instructions and think on their heels. This drill is a baseball classic (not just with little league), and for good reason – it’s fun and helps your team get practice in the field and at bat. Once someone in the outfield accumulates 500 points, they go up to bat. In order to make it more difficult to get to bat multiple times (to ensure everyone gets a fair shot), make it more difficult to get to bat again. For instance, for everyone’s first round, all they have to do is meet or exceed 500 points. However, for all subsequent rounds, they must meet 500 points exactly in order to get to bat again. And if they go over 500, they start again, either at zero, or the denomination of your choice (we recommend 250-300). For example, if a player has a score of 450, and then catches a 100-point pop-fly, their score will exceed 500. That player then has to start over again from 300, and continues this process until they get exactly 500 points. Another classic, Pickle is a drill that will help strengthen basemen and base-runners. It happens to every player, eventually – you’re running to a base, but the baseman gets the ball. You turn around, and the baseman throws the ball to the other base. It’s called the rundown. Just like every runner needs to know how to get around it, every baseman needs to know how to play the situation right and get the out. So, simulate it. Set up a number of “stations.” Split the team into three-people groups, and designate two fielders and a runner. From there, it’s simple: The fielders throw the ball back and forth, trying to tag the runner out. When a fielder tags a runner, they switch off and that fielder becomes the runner. To add an element of competition, have each player keep score of their tag-outs. We borrowed this one from our friends at Helpful Baseball Drills: Here are two throwing drills that will help with posture (and accuracy), as well as strength, speed, and distance. For the first drill, pair off your players and place them between 15 and 20 feet apart. Have them take a knee on the grass. If they throw righty, their left leg should be out and their right leg should be on the grass, and vice versa. The kneeling takes the footwork out of the equation and will allow you and your players to focus strictly on technique and throwing the ball properly. Monitor your players carefully and make sure they’re not throwing with stiff wrists. Make sure their throws are coming straight passed their head, while the elbow moves forward, and the arm comes down as the baseball is released. The second drill, known as the “point game,” focuses on throwing accuracy. Two players stand between 30 and 100 feet apart and essentially play catch. However, players are awarded points whose values vary depending on where the ball is caught. A throw caught within six inches of a player’s head receives three points, and a throw that is in line with the player’s chest (neck to waist line), below the knees, and above the head receives one. The first player to reach 21 wins. Parents are going to have plenty of questions at the beginning and throughout the regular season, and that’s ok. Having as much information for them as possible helps them stay abreast of things, helps you build trust with them, and helps your players have the best season possible. One of the topics you’ll undoubtedly hear about often is bats; which ones are preferred, which are legal, etc. Little League bats may be no longer than 33 inches in length, and must be no thicker than 2 ¼ inches in diameter. The original, bats are considered to be wood if both the handle and barrel are comprised of one single piece of wood, or multiple pieces of wood that are fused together using a laminating or compressing process. Although they’re the least popular bat used among little leaguers today, there’s something to be said for the feedback they deliver. They help players learn the value of swinging through the ball and not just making contact, as well as help where the “sweet spot” is. If you’re looking to train your players in the art of bat swinging and ball clobbering, there’s no better tool than the traditional wooden bat – at least in practice. The most commonly used bats in little league, bats are considered to be alloy/metal if the bat’s handle and barrel are comprised of metal/alloy materials. Lighter than wooden bats, these bats are great for players looking for the widest “sweet spot” and are easier to hit with than their wooden predecessor. However, they also come with a relatively dramatic price increase. Things get tricky with composite bats, which are bats whose handle and barrel are made of a composite material like fiberglass or other carbon fiber polymers. The Little League placed a moratorium on the use of composite bats in 2010, citing research that concluded many composite bats could exceed the maximum performance standard printed on the bats after the bat’s break-in period. There are composite bats that may be used in competition, and a complete list of them can be found on the official Little League website. These bats are qualified as bats whose handle and barrel differ in composition. This classification is basically a sub-genre of composite bats, and is relevant only in regards to the moratorium.